J.T.’s Discount Verticals the leader in FULL SERVICE window treatment sales & installations. Providing quality Skylight Shades to the Staten Island, NY area. See which styles and colors of skylight shades work best with the color, style and look of your home or office and get professional advice, tips and experience on the best choices for your home, apartment or office. Premium service, selection and expertise you will not get from big box chains. Skylights are a great way to give and illusion of greater size to a dark kitchen or bathroom. They allow the natural light and beauty of the open sky enter the room. But if not covered can overheat the area, increase energy costs and and make the house uncomfortable. A skylight tends to catch the sun’ rays and increase the sun’s high-angled glare. This can damage the interior of your home more so than regular window sunlight. Skylights in south or west sloping roofs are especially sensitive to overheating a room. North-facing skylights allow the for soft, diffuse sunlight, but don’t create the sun washed, dramatic effect you might be going for. To protect furniture, floors, cabinets and vanities from the bleaching effects of direct sunlight, skylight shades helps to block the sun’s ultraviolet rays. Solar control with skylight shades that reduces the effects of solar buildup, minimizing radiation and improve energy efficiency. 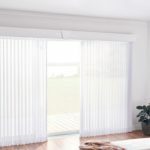 StatenIslandBlinds.com offers a huge selection of skylight shades that come complete with FREE home shopping, FREE measurements and FREE installation. 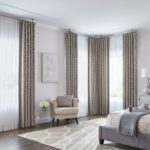 Serving Staten Island NY for more than 30 Years we have the selection, price and service to make you choice of window coverings one that will make your home comfortable at a price and convenience not offered by online catalogs or big box retailers on Staten Island.